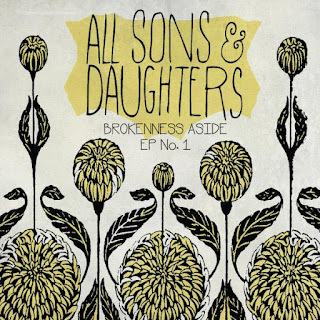 All Sons and Daughter’s debut EP on Integrity Records, Brokenness Aside is a stellar one. A duet made up of David Leonard and Leslie Jordan, the harmonies and lyrics this group has to offer are excellent. “Alive” speaks to those who feel dead, disappointed, or forgotten, reminding them that they are alive in Christ Jesus. As it’s name implies, the stronger “Let It Shine” exhorts the listeners to shine their lights in a dark world. The fullness and background effects of the chorus of this track were simply awesome. Based on Isaiah 45:23, “All the Power and Powerless” speaks about that day when we see Jesus, and every tongue will confess and every knee will bow, declaring that Jesus is Lord. I enjoyed the way the track progressed, as the choir effects added made for a full and enjoyable track. The title track follows, featuring creative lyrics, as it talks of how Jesus Christ has taken our brokenness and made beauty out of it: “’Cause I am a sinner/ If its not one thing its another/ Caught up in words, tangled in lies/ You are a Savior/ And you take brokenness aside/ And make it beautiful/ Beautiful.” After the track closes, it opens back with slow and gloomy strings. In my opinion, this part of the track progressed a bit too much – though the string portion was enjoyable, I thought the vocals of this section would have been better left undone. “I Am Set Free,” based on Galatians 5:1 talks about how it is for freedom that Christ has set us free. The strong drums, and how the duet takes turns singing the melody of this powerful track were thoroughly enjoyable, making this the #1 highlight off this EP for me. “Your Glory” is a stunning track, speaking of God’s glory and how He has changed us: “Your glory is so beautiful/ I fall onto my knees in awe/ And the heartbeat of my life/ Is to worship in your light/ ‘Cause Your glory is so beautiful/ Your glory is so beautiful/ My life is yours/ My hope is in you only/ My heart you hold/ ‘Cause you made this sinner holy.” This beautiful melodic track put a nice ending to All Sons & Daughter’s Brokenness Aside album. 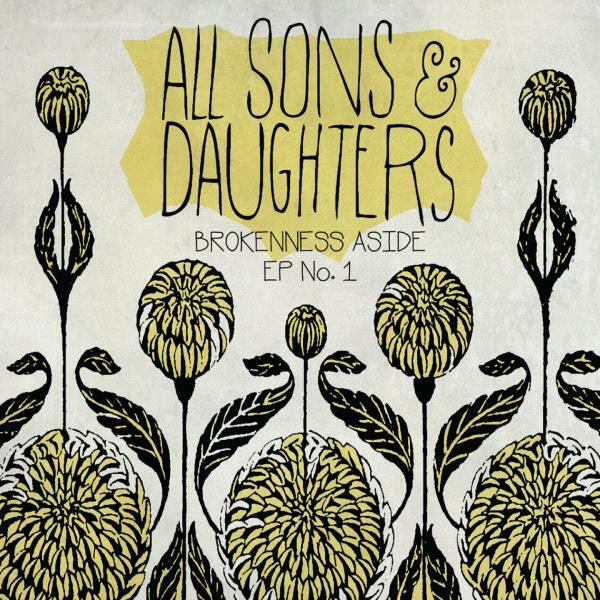 All Sons and Daughters Brokenness Aside is a wonderful introduction to this duet group. I will definitely be looking forward to more releases from this group in the future! If you are a fan of The Civil Wars or Jenny and Tyler, there is a good chance you will enjoy this project as well.